Most people want to spend the holidays with their families. 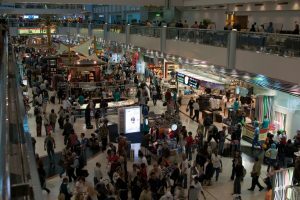 With extended family scattered across the world due to work and other circumstances, international travel during the holiday season is at an all time high. 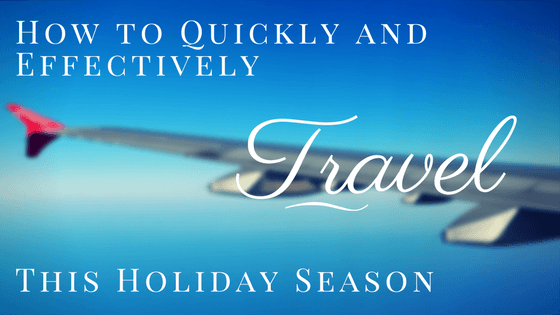 Follow these tips to make the most of your travel this holiday season. On Call International writes that the Wednesday before Thanksgiving is notorious for being one of the busiest travel days of the year, followed by the Sunday after. Avoid jam-packed airport traffic and an even more crowded airport by flying out on Monday or Tuesday or even Thanksgiving morning. To help keep the security line moving, remember these tips: Have your boarding pass and ID/passport easily accessible. Do not carry wrapped gifts in carry-on luggage. Wait until you arrive at your destination to wrap your gifts. Smarter Travel states that whether you’re using booking sites like Expedia or Kayak, comparison shopping has never been easier than it is right now. During holiday travel season, casting the net as wide as possible will help you understand all of your options. The Points Guys explain that if you’re used to paying $300 for a transcontinental flight that includes seat assignments and carry-on bags, you’ll need to accept that it’s simply not going to happen for Thanksgiving week. According to Google, if you’re planning to begin your trip on November 23, for example, expect fares to jump on November 1, November 8 and once more on November 15. You may find airfares to fluctuate on different dates in practice, but a good rule of thumb is that fares will increase 21, 14 and again 7 days before departure. 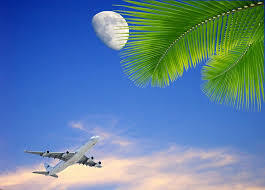 By avoiding peak travel dates, expecting security slowdowns, shopping around, booking your flight early and being kind, your international travel will be quick and effective and you can enjoy your holiday the way you should!